Cork Pro Choice, an organisation campaigning to Repeal The 8th Amendement in Ireland, has apologised to Fathers4Justice, and it’s principles Matt and Nadine O’Connor, for claiming they promoted domestic violence with their ‘Change The 8th’ campaign advertisement, ‘A father is for life not just conception’, which features a photograph of a father cradling an infant child. The group has undertaken to pay €2,000 to F4J and discharge the legal costs of F4J. Brophy Solicitors in Dublin remain instructed on this matter and any further false allegations made against F4J. 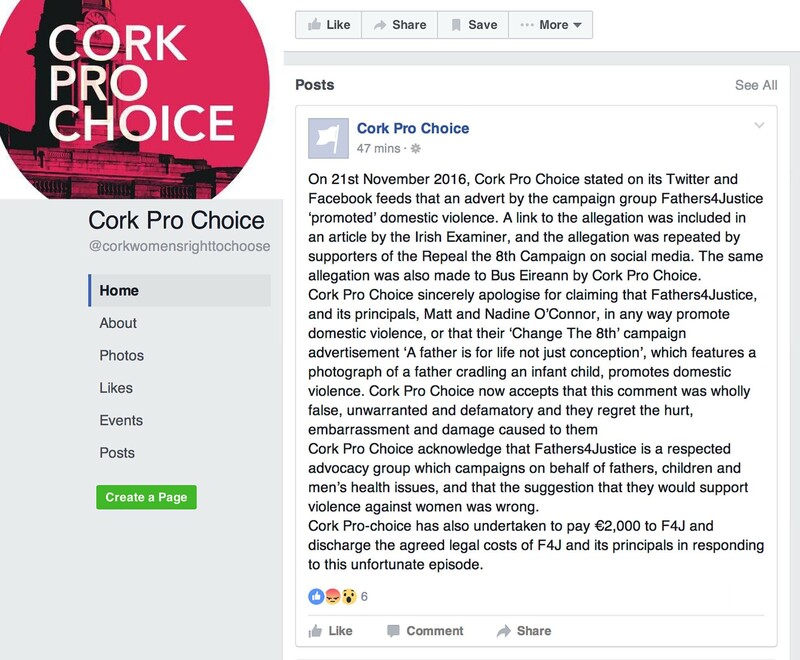 On 21st November 2016, Cork Pro Choice stated on it’s Twitter and Facebook feeds that an advert by the campaign group Fathers4Justice ‘promoted’ domestic violence. A link to the allegation was included in an article by the Irish Examiner, and the allegation repeated by supporters of the Repeal the 8th Campaign on social media. The same allegation was also made to Bus Eireann by Cork Pro Choice. 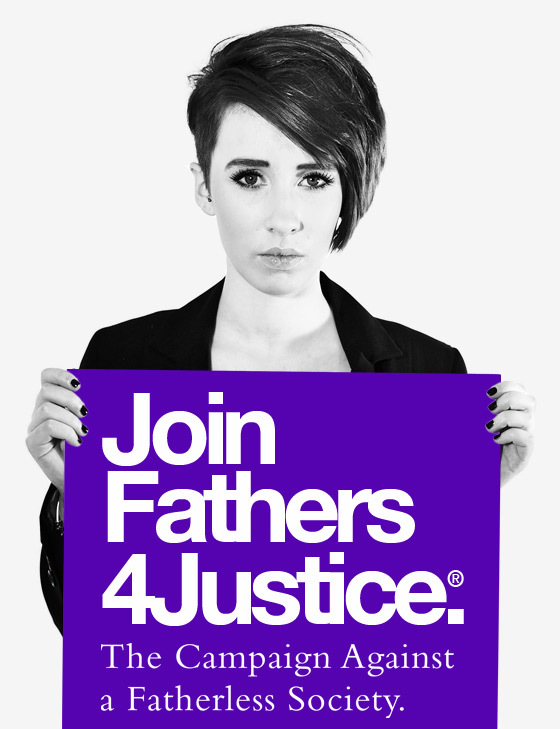 Cork Pro Choice acknowledge that Fathers4Justice is a respected advocacy group which campaigns on behalf of fathers, children and men’s health issues, and that the suggestion that they would support violence against women was wrong. Cork Pro-choice has also undertaken to pay €2,000 to F4J and discharge the legal costs of F4J and its principals in responding to this unfortunate episode.